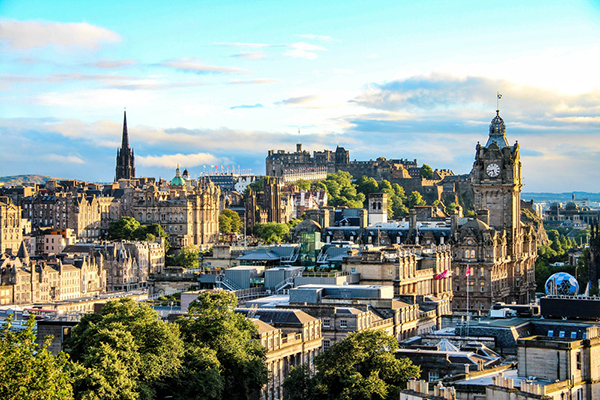 The Edinburgh region has recently signed heads of terms on a City Deal that is in danger of missing the mark when it comes to placemaking. With just one significant capital investment, targeted in Winchburgh to deliver an additional 3,000 homes, there is a long way to go if we are to meet the target of 65,000 new homes in the region. The time has surely come for us to recognise that it will take a whole market approach and require proper integration of infrastructure investment with a new debate on sharing risk between the public and private sectors. One significant change in the housebuilding sector in Scotland over the past 10 years since the financial crash has been the rise in prominence of a smaller number of big players. With funding from new sources, a small number of cash-rich house builders have been smart with their investments and very focused on risk and profit. They have been working hard to rethink their approach to sites to ensure that they get the right balance between supply and demand. Five years ago there was a focus on sites of 100-150 units and now it is in the region of 250-350. This approach has made it even more challenging for the city region to deliver its placemaking ambition and build momentum in terms of new public infrastructure. The current success of this strategy is reflected in land values that are limiting the opportunities for the delivery of affordable housing, whether for market sale, mid or social rent. While the housebuilding sector, by necessity, has adapted and evolved, the delivery of affordable housing has continued to follow the same path. The number of active developing associations and local authorities has increased significantly as a factor of increased grant funding and historically low interest rates. However, due to the nature of land costs and the shape of the wider housing market, opportunities in the most pressured areas are often controlled by the house builders and there is significantly more capacity to deliver than is being realised. The ray of light in the City Deal for the delivery of a placemaking approach is the open door for local authorities to use their borrowing powers to intervene in the market. In Winchburgh this will be for the front funding of new schools and roads and in Edinburgh for the creation of a new housing company. There are at least half a dozen strategic sites in the city region that should be the catalyst for the creation of vibrant new places to live that could come together, but only if these new borrowing powers were combined with the capacity of the affordable housing sector. Collectively, the region could shift the balance of control from house builders to placemakers. To achieve this we will have to collectively take different risks, recognise the market value of land and take some brave political decisions, sharing control of the outcomes. The good news is that unlike many of the difficult political decisions facing local authorities and central government, this presents an opportunity for genuine partnership that shares risk to deliver a shared outcome and belief in placemaking. If we do not adapt to the new market conditions quicker, we risk losing out on the opportunities presented by a growing economy and low costs of borrowing. The house builders have shown us how to be successful in delivering housing; as placemakers we need to learn and do it even better ourselves.